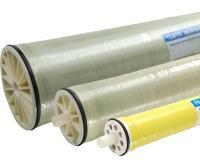 DOW FILMTEC Membranes - FilmTec RO Membrane Elements | Applied Membranes Inc. Applied Membranes has the largest stock of genuine DOW FILMTEC membrane elements in the world and over 30-years of hands-on experience using and supporting DOW FilmTec products. 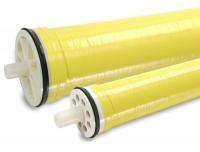 DOW FILMTEC membranes are used for a variety of applications including residential, commercial, seawater, industrial water and nanofiltration reverse osmosis elements. 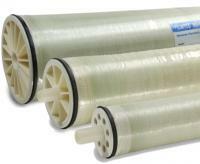 DOW FILMTEC residential reverse osmosis membrane elements for home drinking water filtration systems and under the sink point-of-use-water treatment systems. 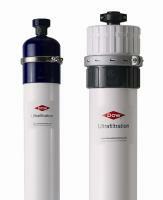 DOW FILMTEC Tap and Brackish Water RO Elements with a 2 to 4-inch diameter offer consistent, exceptional system performance in light industrial brackish water applications, helping to minimize the total ownership cost of water treatment systems. FRP-wrapped elements are recommended for systems with multiple-element housings containing three or more membranes. DOW FILMTEC offers a variety of low energy, high rejection, and fouling resistant FILMTEC™ reverse osmosis elements designed for industrial water demineralization. DOW FILMTEC offers a variety of premium grade seawater reverse osmosis elements featuring both high active area and high salt rejection to offer long-term economics. 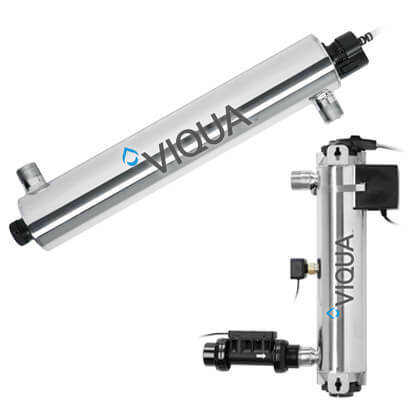 DOW FILMTEC sanitary full fit reverse osmosis membrane elements specifically designed for use in sanitary, evaporator, and medical applications. DOW FILMTEC naofiltration membrane elements are ideal for removing a high percentage of TOC and THM precursors with medium to high salt passage and medium hardness passage. 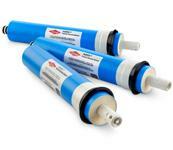 Ultrafiltration (UF) modules exclude particles as small as 0.01 microns, including bacteria, viruses and colloids. UF offers high tolerance to feed water quality upsets, absolute barrier and improved water quality. DOW FILMTEC™ ECO elements offer rejection of 99.7% at 150 psi to lower energy costs and chemical consumption, using new membrane chemistry and low dP feed spacers.